Who is the best actor of Bollywood? 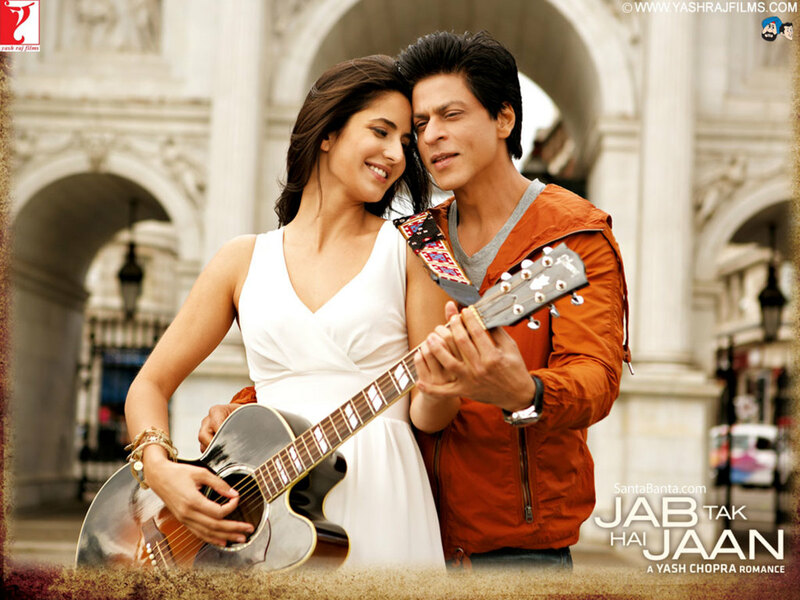 Jab Tak Hai Jaan is the last direction of the great romantic director - Yash Chopra, thus becoming the last bead in his thread of unmatched legacy. This film marked Yashji's return to direction after a long gap of eight years, causing much hype, and his sudden demise made this film all the more memorable. Frankly speaking, this film failed to match the saga of the epic romance film Veer-Zaara, but it still had some impact on me. The story, although weak as compared to the other films of this hub, had the 'emotional' touch in it. The main reason why this film earned a placed in this list is the flawless acting of Shahrukh Khan, who, as a one-man army, brought a happy ending to Yashji's endowment to Bollywood. And I conclude that despite a relatively weak story, the emotional touch and Badshah's fabulous acting makes it at least a one-time watch. Ra.One, the Indian superhero film which received critical appreciation for its jaw-dropping graphics and special effects, proudly stands 14th in this list. Its story was good, acting by Mr.Khan was superb (as always) and the graphics, well the fact that Ra.One won almost every award related to special effects in India and Asia, speaks very well of them. But this film had several negative things. Firstly, Arjun Rampal failed to match the level of acting that his counterpart Tom Wu did as a ruthless video-game character, for Arjun, maybe unconciously, got human anger emotions on his face, which made him look human-like, rather than robot-like. Secondly, the useless cameo played by Rajnikanth spoiled the impact of the action sequence that preceded it. Nevertheless, the rest of the story is amazing and new for bollywood. So this film is a must-watch for SRK fans. This simple and sweet romance story starring SRK and Anushka Sharma is a heart-warming series of events, showing traits of passion, anger, helplessness, love and extreme devotion. This film has nothing wrong in it, but just being a simple romance story cannot make it a showstopper, hitherto it rests at number 13 on this list. This film, ranked twelfth, is a very interesting film, based on an even interesting concept, afterlife and rebirth. In this, SRK is a junior artist who falls in love with the most beautiful actress of that time - Shanti Priya (Deepika Padukone). The film main theme revolves around the concept of rebirth, as SRK, after he failed to protect Shanti from his cruel lover, takes rebirth and finally takes revenge from Arjun Rampal. This was a good story, and SRK acted beautifully in it, but the theme was so unreal, that many couldn't digest it fully. Main Hoon Naa, a 2004 film, is one of the best films of Shahrukh, and can be often seen on television channels. The story is about an adopted son of an army official, who isn't accepted by his father's family. He finally grows on to become a major in the Indian army. He is given the assignment of protecting the General's daughter in her college, of course in disguise. The film then shows how he reunites with his family, and kills the corrupt ex-army official. The story and acting of the cast is very good, except Zayed Khan, who is accustomed to overacting. He shares much of the screen with SRK, and so disrupts the impact of the scenes and acting of SRK. Hence, due to this major weak point, this film comes stands at number 11. 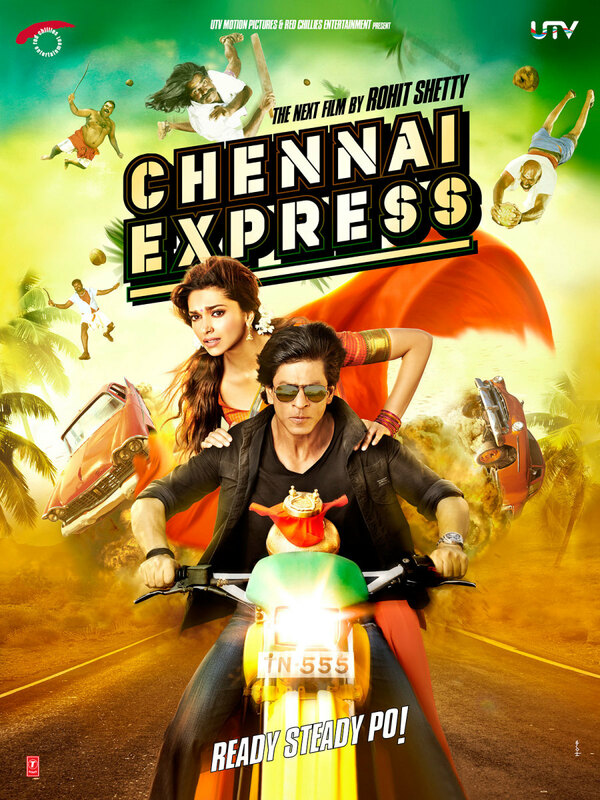 Chennai Express, is a very humorous film, which is also the first collaboration of director Rohit Shetty and SRK. Chennai Express is about a man's journey from Mumbai to Rameshwaram and what happens along the way after he falls in love with the daughter of a local don. SRK and Deepika Padukone's Acting is superb, and the film went on to break many records, eventually surpassing 3 Idiots 393 crore worldwide gross. It now rests at 430 crore rupees, and it is the first film to enter 400 crore club, and is the highest bollywood grosser ever. 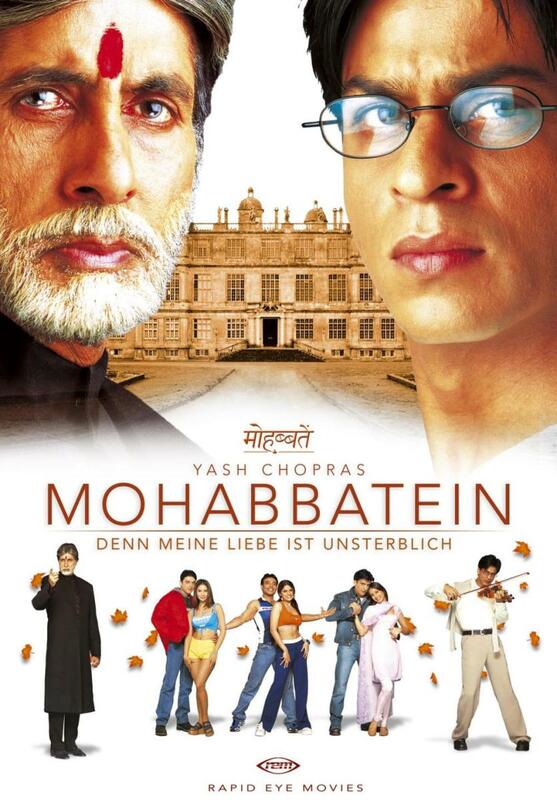 Mohabbatein is a 2000 Indian film. The film stars Amitabh Bachchan and Shahrukh Khan in pivotal roles, along with six young debutantes. The film went on to do well both critically and commercially. It became the second highest grossing film of the year and was thus declared a superhit. It also won several awards including the Filmfare Critics Award for Best Actor and the Filmfare Award for Best Supporting Actor, given to Khan and Bachchan respectively. 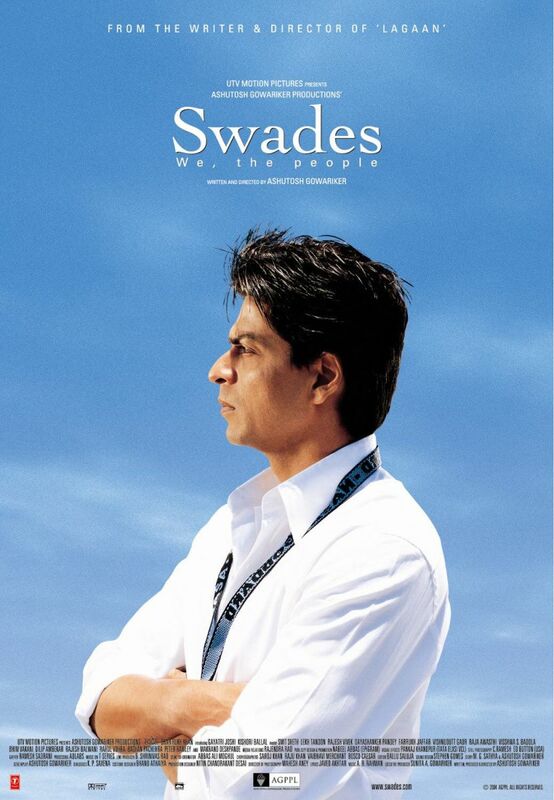 Even now, after 13 years, it remains one of the best films of SRK. Starring the golden on-screen couple of Shahrukh Khan and Kajol, after a huge gap of about 10 years, the movie was bound to be a success. Even then, it was the story, and in particular the theme, was the ace of spade for SRK and director Karan Johar. Surely, it is a must watch movie, showcasing marvellous acting skills of SRK and Kajol. 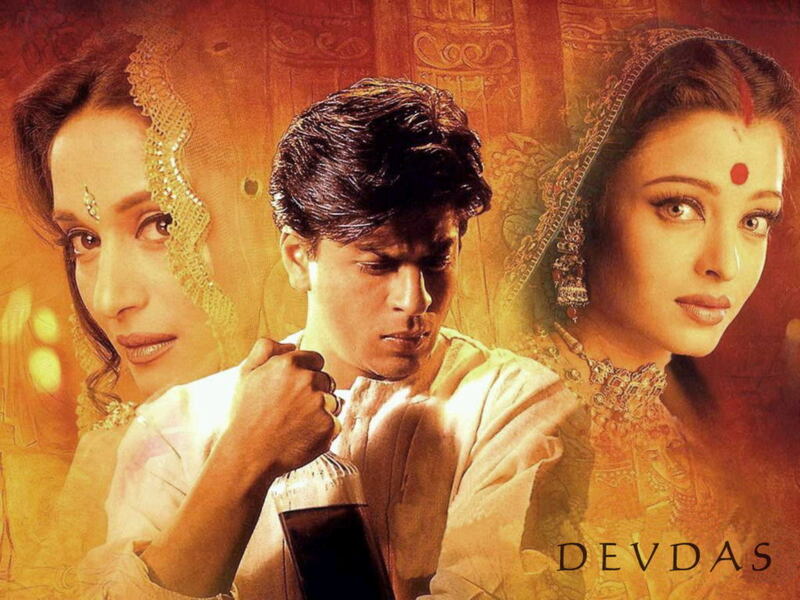 The highest budget bollywood film ever at the time of release, Devdas is a remake of the previous Devdas, which showed Dilip Kumar in pivotal role. Directed by none other than Sanjay Leela Bhansali, it is a saga of romance, and it obviously showcased one of the finest performances of Shahrukh Khan, and is one of his best films, ranked seventh in my list. The story is of two NRIs (Non Resident Indians) living in London, named Raj Malhotra (Shahrukh Khan) and Simran Singh (Kajol). Raj and Simran both value their Indian roots but the two have experienced different parenting styles. Simran has been raised by her conservative father Baldev (Amrish Puri) while Raj's father (Anupam Kher) is more liberal. 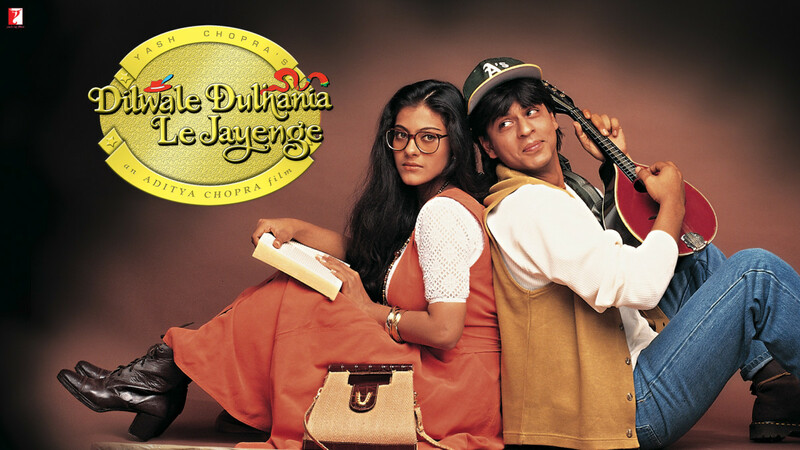 The love story of these characters was admired and praised by the critics, and DDLJ remains one of the most remembered and watched movies of SRK. In fact, it is still being seen by many in Maratha Mandir theatre in Mumbai, Maharashtra, where it surpassed 900 weeks, a world record. A beautiful film directed by Nikhil Advani, starring Shahrukh Khan, Preity Zinta and Saif Ali Khan, this film is one of the best of SRK. The emotional touch of the movie, and even more emotional and sad end of the movie, never fails to leave a very deep impact in the viewer's heart. This is certainly one of my favourites. 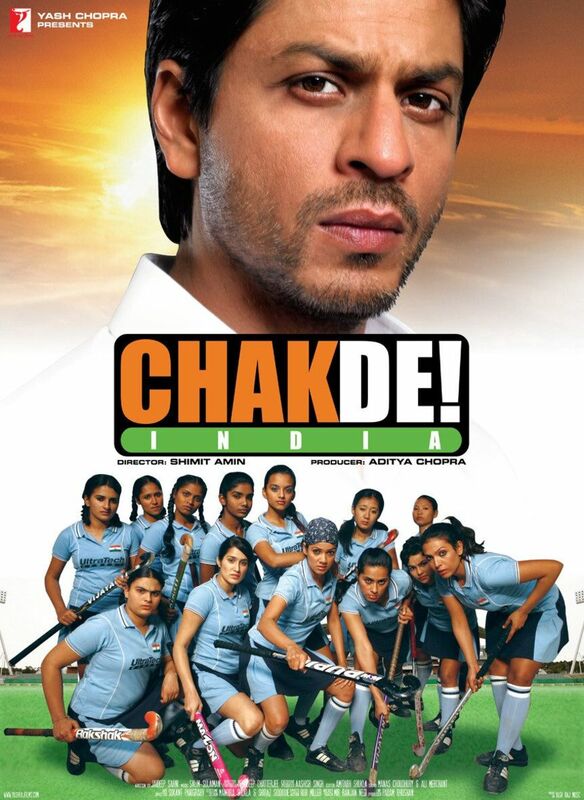 The film stars Shah Rukh Khan as Kabir Khan, the former captain of the Indian hockey team. In the plot, after a disastrous loss to the Pakistan hockey team, Khan is ostracised from the sport. He and his mother are further forced from their ancestral home by angry neighbours. Seven years later in an attempt to redeem himself, Khan becomes the coach for the India women's national field hockey team with the goal of turning its sixteen contentious players to win the women hockey world cup. His team at first hates him due to his strict training regime (and attempts to make them work as a team) and pressurises him to resign.But soon his team realises its mistake and apologises to him. He then convinces the administration to allow the women's team for world cup and wins the world cup astonishing everyone and leading the women's team to the Gold, Khan restores his reputation and returns with his mother to their home, welcomed by those who had shunned them years before. Chak De! India explores religious bigotry, the legacy of the partition of India, ethnic and regional prejudice, and sexism in contemporary India through field hockey. One of the finest Bollywod films in terms of acting and plot, this grand movie stands at fourth position in my list. The plot of the film continues from the end of the first one, starting in Malaysia and moving to Europe where Don, now the king of the Asian underworld, aims to take over the European drug cartel. The action sequences, story, cinematography, screenplay, and of course acting, match the level of Hollywood. Even Tom Cruise stated, "If anyone wishes to see how much the standard of bollywood has improved now, he must see Don 2." For me, the best part of the film is that it, so easily, took the story of original Amitabh Bachchan's Don ahead, and thus added a golden feather in the Don's saga. The best bollywood romance film ever, Veer-Zaara is clearly one of the epics of bollywood. The film outclassed even DDLJ, showing the unbelievable sacrifice made by the lead characters, so that their better halves and their families may lead peaceful lives. The story seems impossible, but the charisma of SRK, Preita Zinta, and the renowned director Yash Chopra, make the audience to believe in it, and the viewers get lost in the film. This movie truly deserves the top spot. In your opinion, which of the following is the best film of SRK? 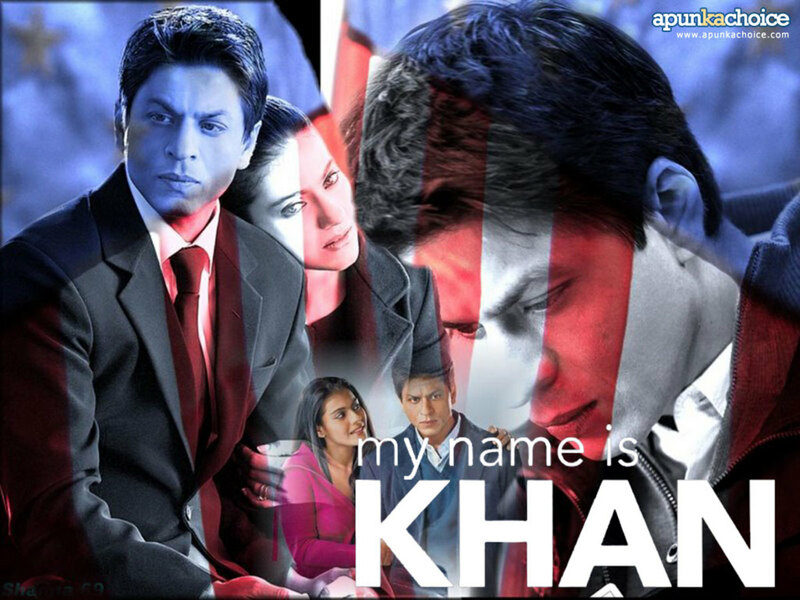 Amazing movies of shahrukhan i love it are u???????????? Thanks for your comment, Animesh! 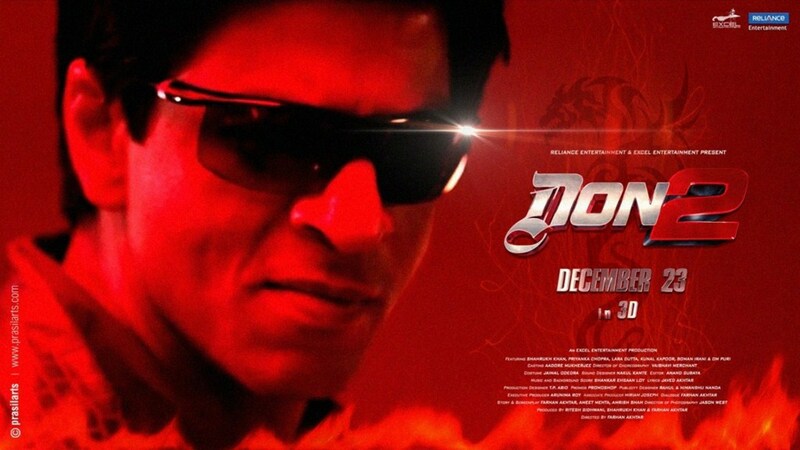 Don 2 was truly amazing!! For me don 2 is the best movie of srk. The movie was a freakout thriller. Shahrukh Khan is one of my best actor. 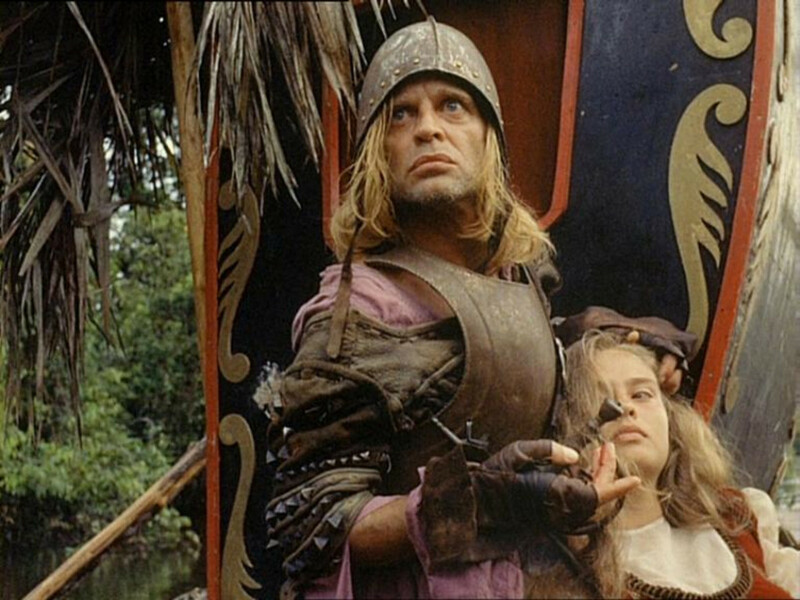 Thanks for sharing these great list of his movies. Coolest hub, great list of movies.